One of the best decisions I made during my most recent Alaska cruise with Holland America was to spend a couple of extra days in Vancouver at the end of the trip. It had been so long since my last visit, I treated this most recent stay like it was my first time in the city. In order to make the most out of those two days while enjoying what truly is one of the best cities in the world, I strategically planned a variety of experiences that, when all put together, did indeed make for the ideal re-introduction to beautiful Vancouver. To make the most of my short time in the city, I knew I needed the perfect home base. The iconic Westin Bayshore was the ideal partner for my Vancouver experience not only thanks to its prime location, but also the comfort and luxury for which it is so very well-known. The Westin Bayshore has been a prominent fixture in the Vancouver hotel scene for a very long time, and with good reason. Aside from the attention to detail I expect from any Westin property, the location just can’t be beat. Located on gorgeous Coal Harbour, the hotel is ideally situated to access just about anything you’d want to do in the city, from Stanley Park to the waterfront and even the downtown core. With refreshed public spaces as well as rooms, although the Westin Bayshore is a large property, they do a great job of creating special and bespoke moments. Service is everything at any great hotel, and from the moment I arrived I was made to feel like an honored guest. This is an increasingly rare quality for a hotel to possess, but I’m thrilled to report that the Westin Bayshore excels in this personal brand of hospitality. Whether you are in Vancouver as part of a pre or post cruise stay, there is an awkward period of time that needs to be accounted for. I disembarked the Westerdam early in the morning, and had a full day ahead of me and still many hours before I could check into my hotel. To make the most of this time, and to ensure an easy transfer to my hotel, I booked a special tour with local provider Landsea Tours. They offer a variety of excursions in and around Vancouver, but I decided on the comprehensive Post-Cruise Vancouver Delights Tour for a variety of reasons. They picked us up right at the cruise port, stored our bags in their van and then proceeded to share with the small group Vancouver’s most impressive sights. From Stanley Park and Granville Island, to a generous amount of time at the Capilano Suspension Bridge Park, it was an incredible day out and about. Even better, the excursion includes hotel drop-off at the end of the tour, meaning that the day was easy and convenient. It was the best way to disembark and experience the city, instead of schlepping to the hotel, dropping off bags and waiting until check-in time. The tour was also a fantastic reintroduction to Vancouver. I could not have planned a better way to spend that first day right off of the ship, and the quality of the experience with Landsea just can’t be beat. We had a couple of days to spend in Vancouver though, and while I enjoyed the Landsea tour I was also eager to experience the city in my own way. 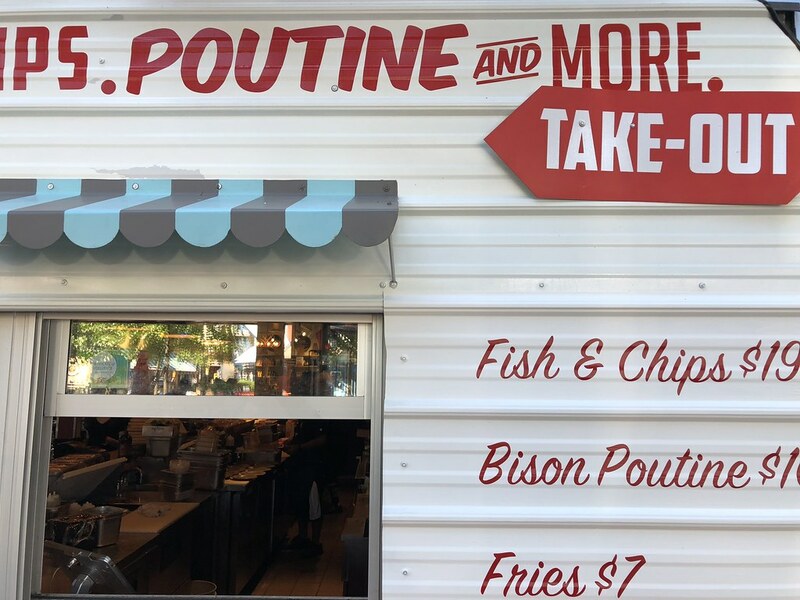 One thing I always love to do no matter where I am is to join a food tour, and in Vancouver there are a variety of options. Given my own food proclivities though, I decided that the Granville Island Market tour was the best match, and I was right. What once was an industrial no-man’s land is now the center of upscale hipsterism in Vancouver. At the heart of the experience is the Granville Island Market and I couldn’t wait for a local pro to share the best foodie finds. Over the course of a few hours we enjoyed more than 20 different bites and I left the tour full and certainly happy with my decision to book the excursion. I can’t recommend this tour enough not only for the food, but for the opportunity to learn more about this fascinating enclave of Vancouver. Later in the day we did a little wandering, visiting the small but interesting British Columbia Sports Hall of Fame and later on FlyOver Canada. This simulator is actually a lot of fun, and takes participants on an immersive experience unlike anything else you’ve tried. I won’t spoil the fun, but I also strongly recommend it. Vancouver is a special city that deserves at least a few days to experience properly. If you’re doing an Alaska cruise, then chances are that Vancouver is on your itinerary. If it is, then be sure to spend some time in the city as either part of a pre or post cruise to not only add more to your vacation, but to appreciate this world class city on its own.